Briefly: Eleanor Jones was discovered about ten years prior wandering around 1909 London. She’s a quiet girl who kept mostly to herself. She always heard strange sounds and music, and there is a voice that speaks to her, telling her of her greatness. Then the war comes, and at sixteen she is sent for safety reasons to a remote school that is mostly populated by bored, wealthy girls who don’t care too much for this poor charity case who has come…especially when she has caught the eye of Armand, the son of their benefactor. But Eleanor has made a connection with Jesse, a boy who works on the grounds at the school. Handsome and quiet, there is something intense and right about their meeting. The stars have told Jesse to look for her, and what to do when she arrives. Then all of Eleanor’s fantastical dreams of smoke and claws and that voice in her head gel into one fantastic revelation about who she is and her destiny. Didja Like It? : Sometimes books move at a plodding pace that borders on excruciating. I think it is a misused tactic by some writers who think that it really shows the seriousness of the story. Either that, or they create a lengthy lead-in to the “real” story because they think that gobs of information is going to somehow magically make the reader be transported perfectly into the author’s head. And yet, at other times, it does take time to “get there.” Every bit of the backstory or pre-happening or whatever you want to call it is fully warranted and needed. This is one of those kinds of stories. It really made the story feel authentic and made the fantastical parts much more believable. Anything Else to Mention? : While the story went in a direction that I didn’t expect, I am especially looking forward to seeing how they continue the saga in the sequel. To Read or Not To Read: I definitely am glad that I read this story. The touches of fantasy were made to feel fresh and new. They were differently expressed, so I really felt like I was reading something that I hadn’t read a thousand times before. 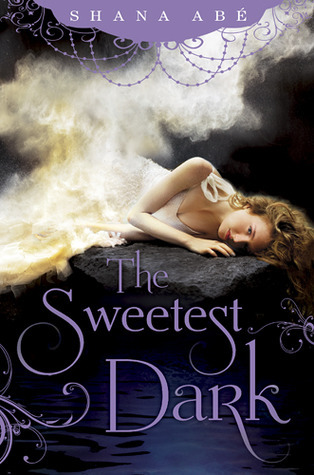 The Sweetest Dark by Sharon Abé was published April 2, 2013 by Bantam. Ink and Page picked this book up from the library, so no one had a choice about whether it was reviewed.